A coupe of months ago I posted this picture and said, "You are looking at the ruins of a French Bergere." Both legs on the left side of the photo were partly broken off and the crest rail across the top of the back of the chair was gone completely. The chair wasn't together at this point, just a pile of pieces. I stuck them all together loosely for the picture above, hoping it wouldn't collapse before I'd gotten the picture taken. Then I pulled them apart and we took the chair to Greg Brown, an master woodworker who works less than half an hour from here. He identified it as a circa 1910 American-manufactured reproduction of a French Second Empire parlor arm chair or Bergere. 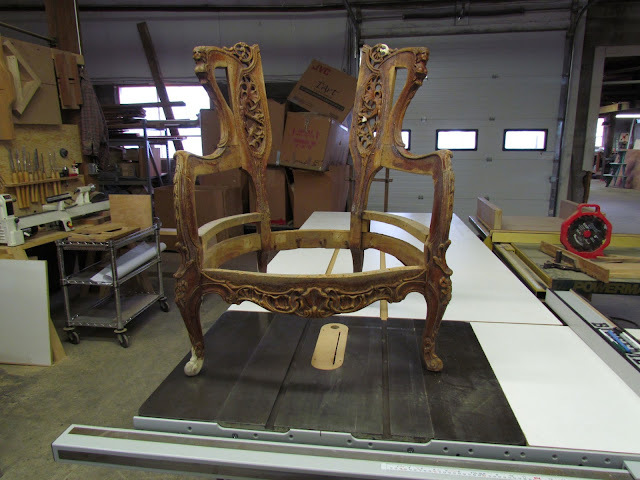 Before I gave them to Greg to work on, I brought the pieces home and pulled out all the furniture and upholstery tacks and got rid of the dry-rotted shreds of the old upholstery. I felt that an artisan on his level had a lot better things to do than dig corroded tacks out of old wood. Then we delivered everything back to him for the real work to begin. Greg deep cleaned it further, ridding the crevices in the carving of caked-on dirt and rubbing it down to get it free of any residues. He restored bits of the carving that were damaged or missing (the clay-colored areas--actually poplar wood plugs carved to match the complete areas on the opposite panel. He rebuilt the legs and carved them to match, then he reassembled the frame, still missing the crest rail. 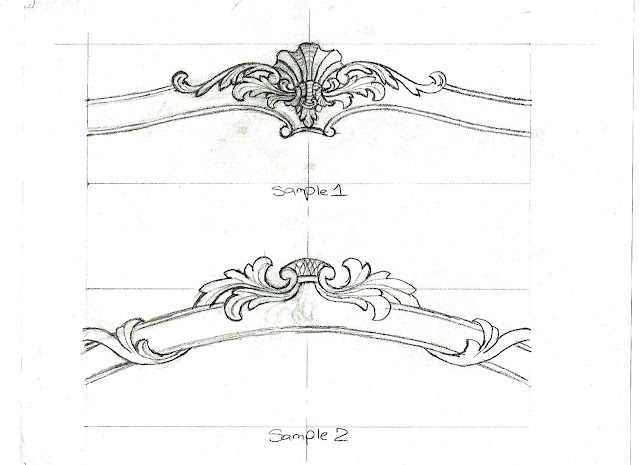 He sent me these two sketches for the new crest rail; the top one is based on my thought that it might be good to echo the scallop shell motif of the existing skirt rail (bottom of the seat). The bottom one is his own invention. So I processed the sketches with the picture of the re-assembled chair to see what each of the rails would look like in place. I lived with them for most of the day and decided that the continuous arch of Greg's own design looked better with the chair's lines. Greg emailed me yesterday to say the work was complete. He had asked me if I wanted a painted finish like the original, which he analyzed as a milk paint in a faux mahogany color. 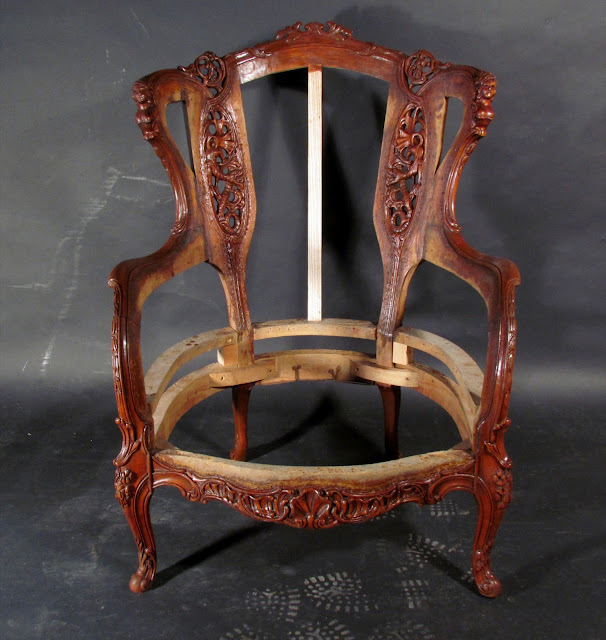 I said I thought it would be a mistake to make the chair look too fresh and glossy, that the rough life it had gone through should somehow be honored in its restoration. So, he used various pigmented stains and got everything harmonized, then put on a simple finish of wax. And here it is! We picked it up this afternoon. I'm thrilled with it; solid as a rock, it has a lovely glow and looks great in the living room. We shop for upholstery fabric tomorrow and then I'll get to work. The chair looks fantastic, Will. Amazing. 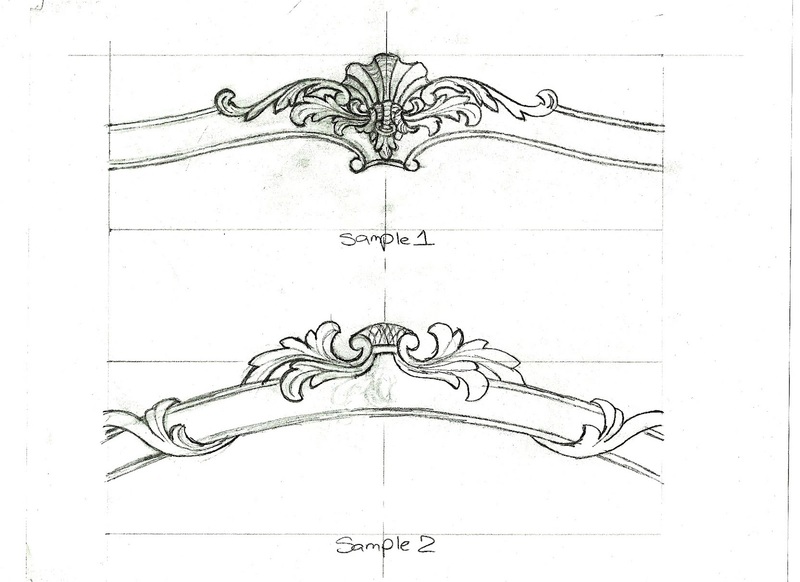 I can't wait to see it upholstered! what a fascinating thing to see, the return of a chair from 'junk'. We have lots and lots of 'seating'. Stephen bought a ruin of a chair (since brought back to life) years ago from a thrift store, and a friend delivered it to our front porch. I didn't know any of this has transpired, so when I walked out the front door later that day, my first thought was, "Chairs have started finding their way to our house to die, like the elephant graveyard." 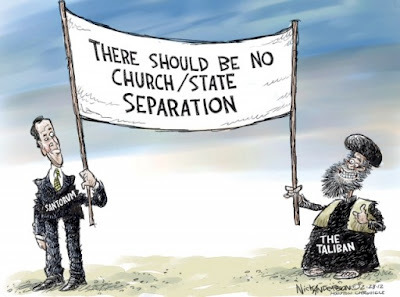 Hate is far more a choice than Homosexuality could ever be! I'll think of something later: David Nice in the U.K.
Bill T. Jones/Arnie Zane Dance Co.